Share the Story. Shape the World. The Perkins Center for Preaching Excellence at SMU is an initiative devoted to enhancing the preaching skills of pastors through innovative courses, workshops, one-on-one coaching and peer learning groups. 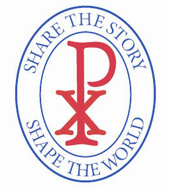 Focusing on the role of storytelling as a vehicle for offering the Gospel, PCPE has been made possible by a grant from Lilly Endowment, Inc. to Southern Methodist University’s Perkins School of Theology. The Hardin Family Preaching Mentor Program for Introductory Preaching Students. Guest Lecturers in our advanced preaching classes. These guests, who come from the Perkins faculty as well as the broader SMU, help our students explore some aspect of the use of story in preaching from their own areas of expertise. Beyond the walls of Perkins, PCPE sponsors peer groups and seminars on behalf of clergy serving churches who want to take their preaching to the next level. Our Peer Learning Program gathers groups of 12 clergy throughout the Southwest in monthly sessions led by trained facilitators. Our One-day continuing education seminars offer clergy the opportunity to learn from gifted preachers and communicators around topics of practical concern for their weekly preaching.